It is no mystery that Starcraft 2 is the most celebrated real-time strategy title that has even been released. Only matched by its predecessor, Starcraft 2 offers engaging gameplay, spectacular storytelling and an overall rewarding experience due to the immense quantity of game concepts needed to be mastered. The growth of Starcraft dates back to the late 90s, when Starcraft: Brood War was released. As an esport, it was really successful, especially because it turned out to be a mesmerising game to watch due to the large number of strategic manoeuvres, mind games and climactic clashes near the final stages of the game. When betting started to incorporate esport titles, it was no surprise that Starcraft was one of the first selected games to bet on. Due to the steep learning curve of the game, predicting outcomes is virtually impossible without having a lot of knowledge of Starcraft. But don’t let this intimidate you! We are here to guide you through the basics so you can kick off with your own Startcraft 2 betting after you’ve read this article. 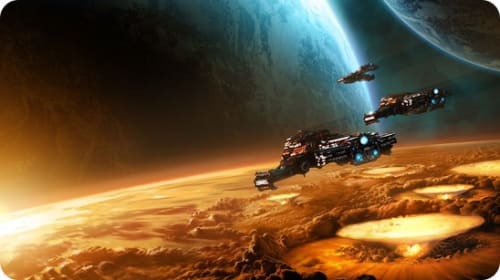 Although it makes it easier to grasp the concepts of the game by playing it, you don’t need to be a Starcraft gamer to become a Starcraft gambler. However, you do need to understand how the game works and what the underlying strategy is. Protoss: The alien race of mystic warriors. If you chose this race, you can expect to have strong units, warpgates and outstanding late game splash damage. However, the units take a long time to build (time is of the essence in this game) and gateway units tend to get weaker as the match advances. Zerg: These insect-like monsters can build units faster than any other race, although said units are weaker. On the other hand, they can overwhelm the opponent with sheer numbers. Their units also are very fast, however, to be effective, you have to spend a lot of resources. They also don’t have great anti-air units. Terrans: The human race exiled from Earth. They have great units like the MULE and useful upgrades like the Stimpack. They also have the stronger drop play. However, they have weaker reinforcements which affects them a lot in the long run. With each race, there is a totally different playstyle and build order. It’s highly recommended that a person playing Starcraft does vary their races constantly, but instead master one race and stick to it. Each race has a different approach on how to destroy the enemy’s base which is the final objective, however, in practice it’s normal for players to surrender when it’s obvious that the game is lost. It’s considered rude to keep playing a lost game. The main event for you to bet on is the WCS Global Finals. At times when this tournament is in its group stages, the most common types of bet you will see when doing your research on betting websites are these two: who will win the match and who will win the tournament. There are not that many specific variants you can bet in Starcraft, it is normally just who is going to be the victor. The first thing that is essential to know when you are about to make a smart bet is the Starcraft meta game. Every competitive game is subjected to a wide variety of patches which alter the strength of a race. There are always ideal strategies for each race to execute which should be followed when playing competitively. For example, if you are playing Protoss and facing a Zerg player building up to 2 bases and denying your enemy a third one using gateway and optional robo, it’s an ideal way to adopt. This is because Zergs can create a large number of units very quickly: if they have three bases, you will easy get overwhelmed by the number of things to deal with at the same time. Knowing the meta well and detecting the players that are adapting the best way to this is a powerful tool in Starcraft betting. In live betting have a feel for the meta is crucial, but at the same time you must always value if the odds price is right for you before placing any bets. The map pool is another detail that you should be on the look for when making a live bet. Generally, a professional Starcraft player sticks to one race and, depending on the map, he may have a huge advantage. It is a good idea to pay a lot of attention to the map pool, since it has a lot of influence on the outcome. If there is a Zerg vs Terran match in a map which is really wide and which would make it hard to deny a Zerg from building a third base, then it would be the smartest choice to bet on the Zerg player. In Starcraft 2 betting match winner odds – “1X2” – are offered which means that you either bet on Team 1 to beat Team 2 (1), or the other way around (2) or if the match will be a tie (X). If the outcome of Team 1 to beat Team 2 is priced at 2.00 you will get even money back if Team 1 wins. Tournament winner (outrights) are also common where you predict the team to win the entire tournament. You will have to wait until the tournament finishes to get your eventual payout, which is typically a much higher multiple than a single match winner odds. Live betting is one of the fastest growing betting markets for Starcraft 2. You will see some fantastic possibilities here if you are streaming the games alongside with the latest odds updates. This is where can use your precise knowledge in the right spots and benefit from the many odds changes that occur instantly. Deposit and take part of your welcome offer! Know the players! You can’t know how someone is going to perform in a map that benefits the Zerg if you don’t know what his favourite race is. In Starcraft 2 you will have to research a lot to make the best bets, but at the end, it’s completely worth it. Learn the meta and the best strategies for every matchup (Zerg vs Protoss, Terrans vs Zerg, and so on). 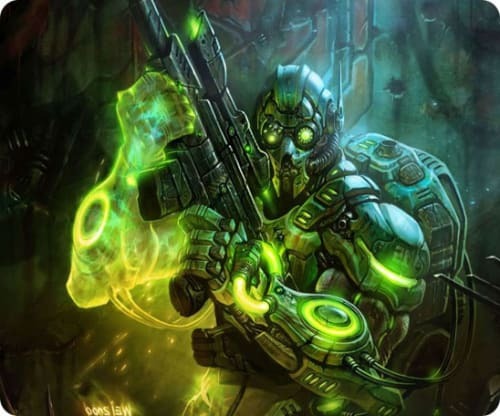 Seize the free bet bonus offered as a sign up bonus in Mr Green to see how good your predictions are and how well you are applying your Starcraft knowledge to a professional match. Have full control of the recent form for the various teams you are betting on and beware of eventual team changes and how that could have affected the odds.